How can I buy a Cuatro? So you are considering your first Cuatro….now what? There are so many choices out there, and it’s mostly knowing what to look for and more importantly, where to look for it. One of the reasons the Cuatro may be limited in making its appearances on stages around you is because of the availability of the instrument. Typically the instruments are made by luthiers in South America and the only way of getting one is if you go there yourself. 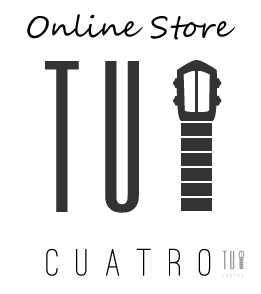 TuCuatro is not only a Learning Management Portal delivering courses where you can learn how to play the Cuatro, but we are also an extensive network with a worldwide presence and can source your Cuatro to your specifications anywhere in the world! Be it your first Cuatro from an instrument factory or a highly specialized piece of work from one of our reliable instrument constructors; we can get you a Cuatro…where ever you may be. In this section, become familiar with what is out there, what the different parts of the Cuatro are called and who are the geniuses creating these instruments all around the World.